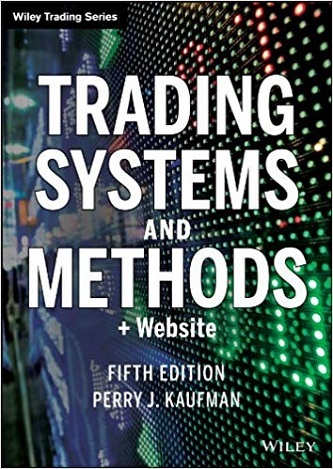 For nearly thirty years, professional and individual traders have turned to Trading Systems and Methods for detailed information on indicators, programs, algorithms, and systems, and now this fully revised Fifth Edition updates coverage for today’s markets. The definitive reference on trading systems, the book explains the tools and techniques of successful trading to help traders develop a program that meets their own unique needs. Presenting an analytical framework for comparing systematic methods and techniques, this new edition offers expanded coverage in nearly all areas, including trends, momentum, arbitrage, integration of fundamental statistics, and risk management. Comprehensive and in-depth, the book describes each technique and how it can be used to a trader’s advantage, and shows similarities and variations that may serve as valuable alternatives. The book also walks readers through basic mathematical and statistical concepts of trading system design and methodology, such as how much data to use, how to create an index, risk measurements, and more.